Good morning Reena...what fabulous butterfly pictures...what type of camera do you use? I'm a beginning photographer but have loved it all my life. Hanging with the g-kids cracked us up...your cat is smart I have learned over they years that munchkins have sticky fingers and they move like lightning. No g-kids here but we've had munchkins visit. Beautiful butterflies. I see so few of them these days. Where did they all go? How funny! And GORGEOUS captures! 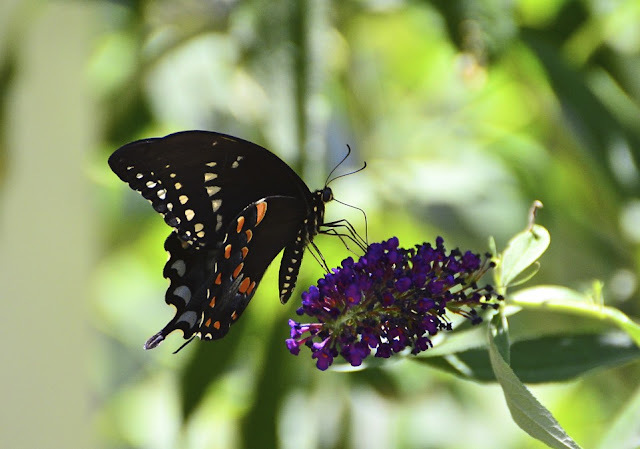 The swallowtails are so pretty. 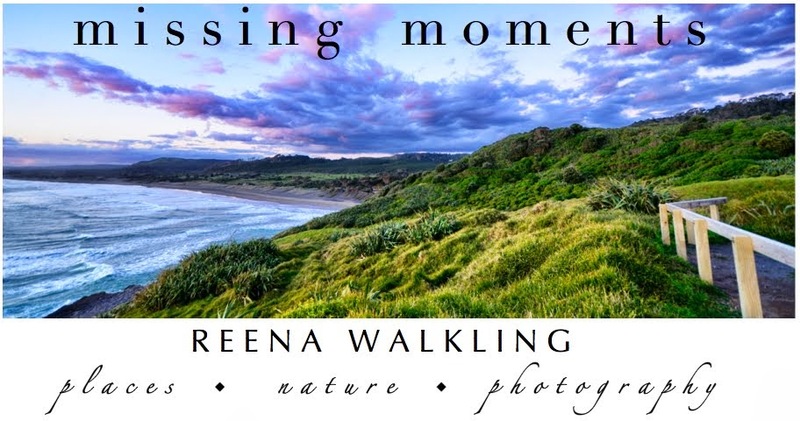 Gorgeous shots, Reena. Oh my - you weave magic with your camera! LOL! hang in there! those are beautiful butterflies! That first one is over the top!! I'm jealous...you've stolen all the swallowtails! You got some really beautiful shots there. 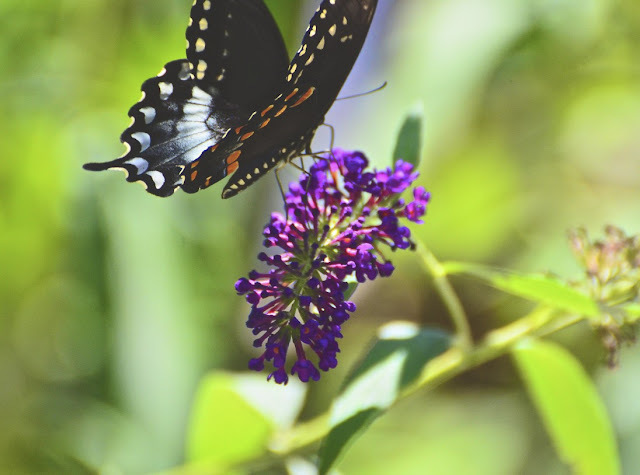 Your butterfly bush sure does attract them. As for the grandkids, well, kids do tire one out, but, they sure leave beautiful memories to relive in your exhausted dreams. I'm so upset... just no butterflies around this year... I guess they all went to your house for summer vacation.. Great pics and thanks for sharing these lovely creatures with us! These are breathtaking captures, Reena! And what gorgeous butterflies they are! I love your postscripts! People are always asking me if I don't miss having grandchildren and all I can say is that you don't miss what you've never had. My oldest daughter is married, but they decided early on not to have children the other three are single and busy!! Hope you have a great weekend!! Get some rest!!! gorgeous butterflies!!! those little ones sure can beat you up, where do they get all that energy. i feel for ya, one for just a couple hours = o.k......but several, at the same time = exhaustion. we will be praying for ya!!!! LOL - you're funny and the butterflies are lovely. Lol. 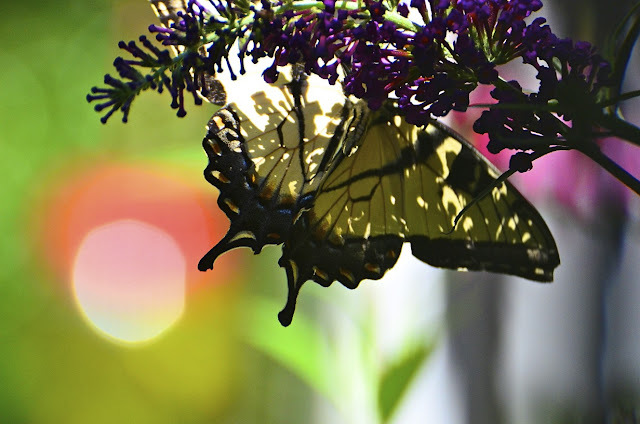 Love the blurred colors in the background against the butterflys. You are too funny Reena! 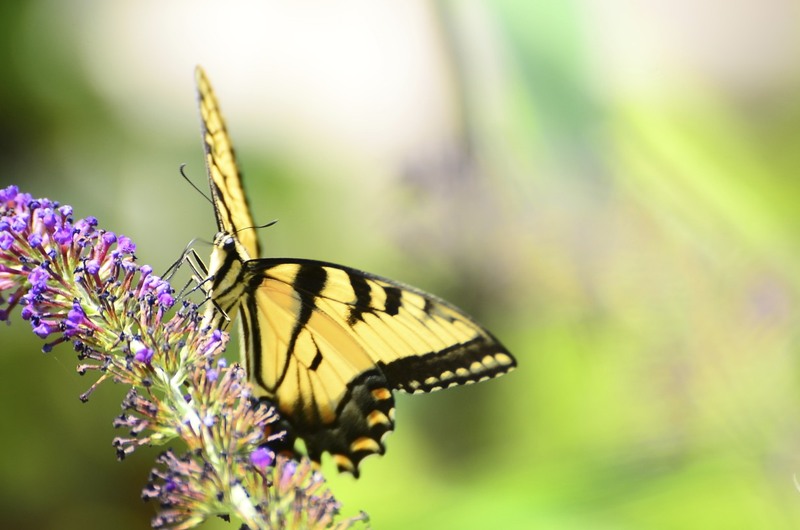 Your butterfly photographs are just gorgeous! Expertly photographed! The colors are gorgeous in all of them. Beautiful! is it just me or does it seem like there aren't as many butterflies around these days? Or is because I just don't notice them? These shots are amazing! LOL at the references to the cats and kids. I never see butterflies anymorew. :( Pretty photo! Your post title is perfect. It was a fun movie, a lovely song and introduces your beautiful photos. And your cat comments made me laugh. Awesome photos! Great presentation! Totally understand about the grandkids, just got to love them! Great shots and thank you for showing them! Reena, lovely shots of the butterflies. I love the butterfly bushes too. I hope you are having fun with the grandkids. Have a wonderful weekend! Really great perspectives on these. Have fun with the grandkids! you are a flat out joy! Beautiful photos!! And I feel your pain!! Just had three of my grandkids for four weeks!! Can you say..."need to sleep for a week"?? lol. and hey ~ congrats on potw! congrats on your POTW dearie! Gorgeous, gorgeous butterflies! Funny funny commentary (have the cats come out of hiding yet?). Wonderful images. Congrats on POTW. Perhaps in another lifetime I will be able to take photos that well.